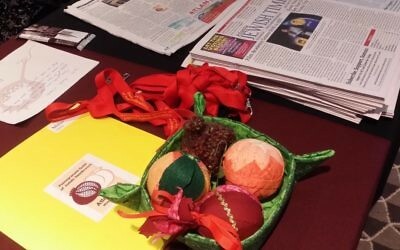 Art and religion come together during needlework workshop and convention. 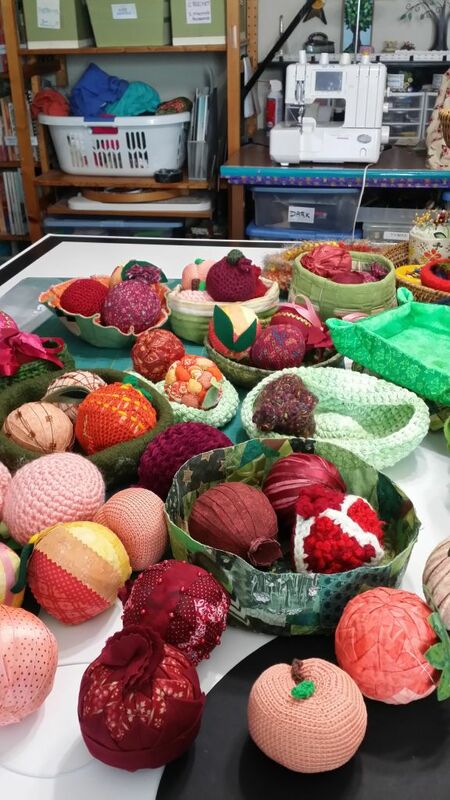 Pomegranates and peaches made for use in convention centerpieces are shown in the home studio of Cheryl Miller during a pre-convention Peach State Stitchers stitch-in for the centerpiece project, co-chaired by Miller and Pamela Rishfeld. 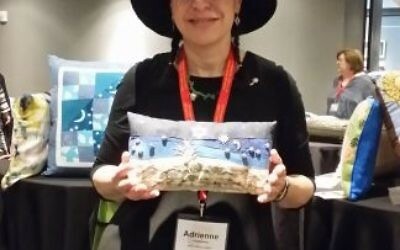 About 75 enthusiasts attended the Pomegranate Guild of Jewish Needlework national convention at the Le Méridien Atlanta Perimeter in Dunwoody from May 21 to 23. 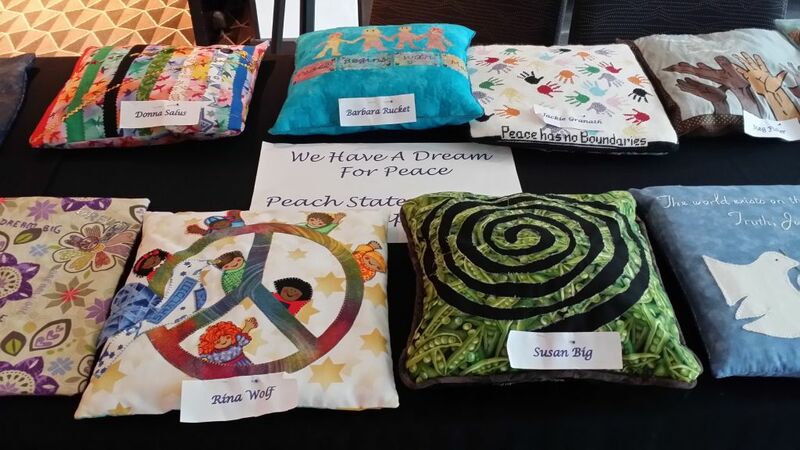 Hosted by the Peach State Stitchers, the convention featured a keynote address by Congregation Or Hadash Rabbi Analia Bortz. 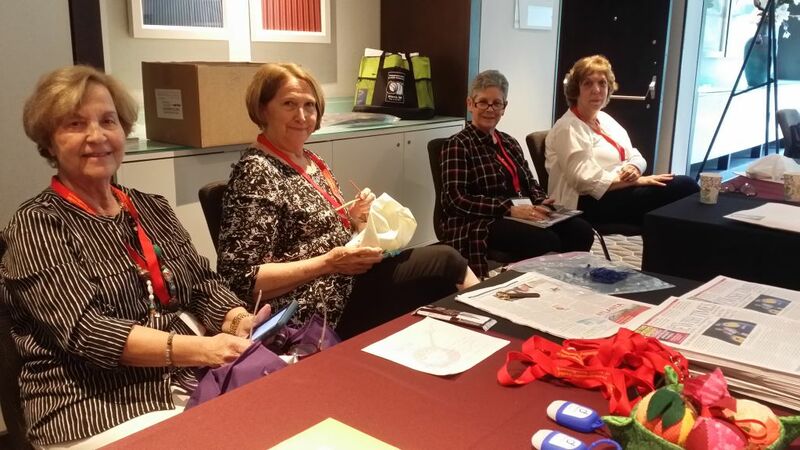 Convention co-chairs Susan Big and Barbara Rucket received enthusiastic reviews of the exciting and educational experience. 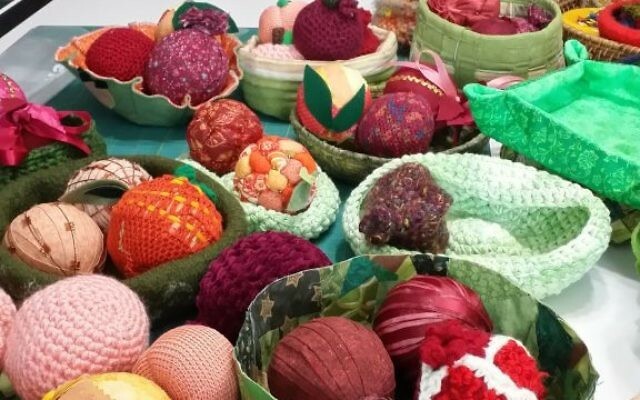 Delegates asked for some of the Atlanta workshops to be repeated at the next Pomegranate Guild convention in Calgary, Alberta, in 2019. 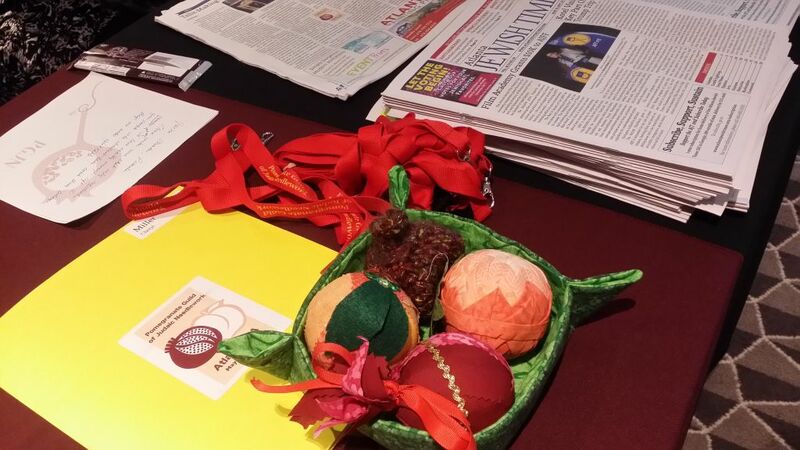 The convention registration table includes a sample centerpiece and copies of the Atlanta Jewish Times for the delegates. 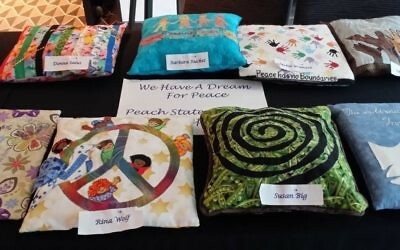 More about the Atlanta chapter is available by emailing peachstatestitch@aol.com or visiting www.peachstatestitchers.org. 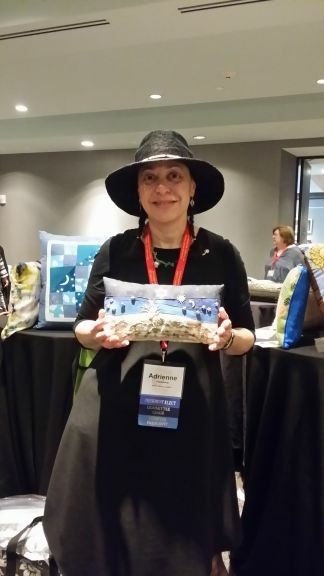 Adrienne Kuperberg from New Jersey, the Pomegranate Guild’s president-elect, holds the pillow she created for the “We Have a Dream for Peace” convention challenge. Kuperberg taught classes on 3D paper cutting, Jewish holiday seasons using fusing techniques and an introduction to needle weaving. 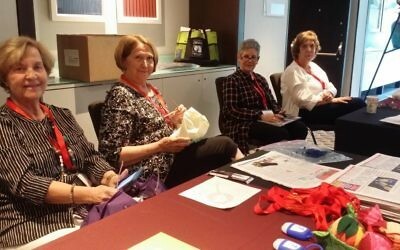 Peach State Stitchers volunteering at the convention registration table are (from left) Brenda Bookman, Linda Moore, Pamela Rishfeld and Roberta Gross.